These pouches are hand made and hand embroidered in Vietnam. 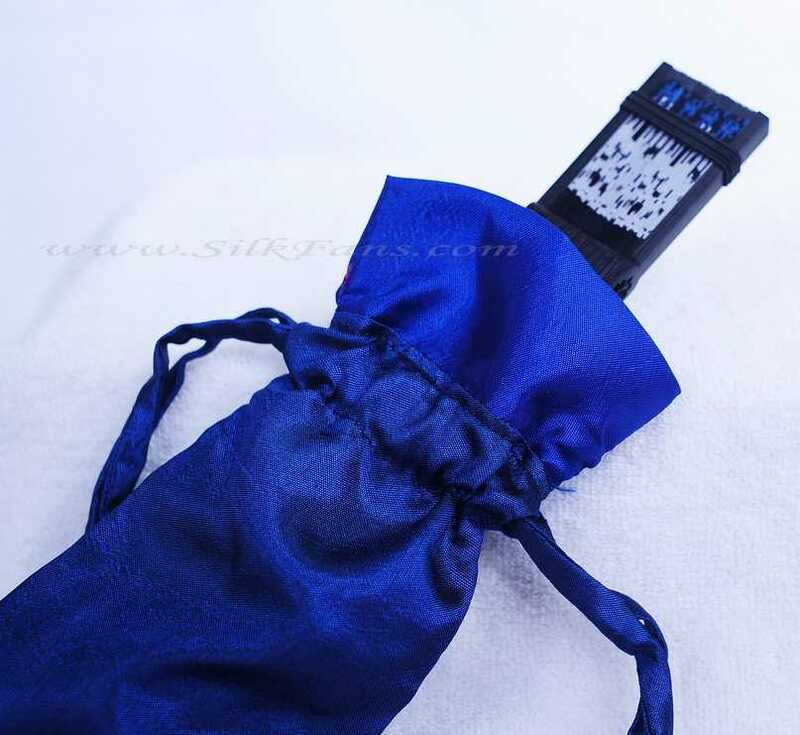 They are designed and made specifically for our silk fans. They are available in pretty sheer colors: purple, pink, blue, and white. 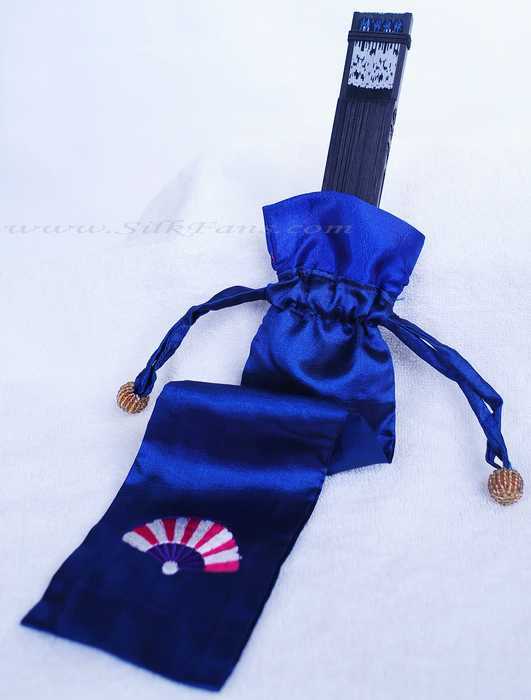 These pouches work best with the Japanese silk fans. They don't work with the vietnamese hand fans, the white and black silk fans, and other spanish style or feather fans because of the sizes and the desgin of the metal part will get in the way! They protect the fans and make elegant gift wraping!! !